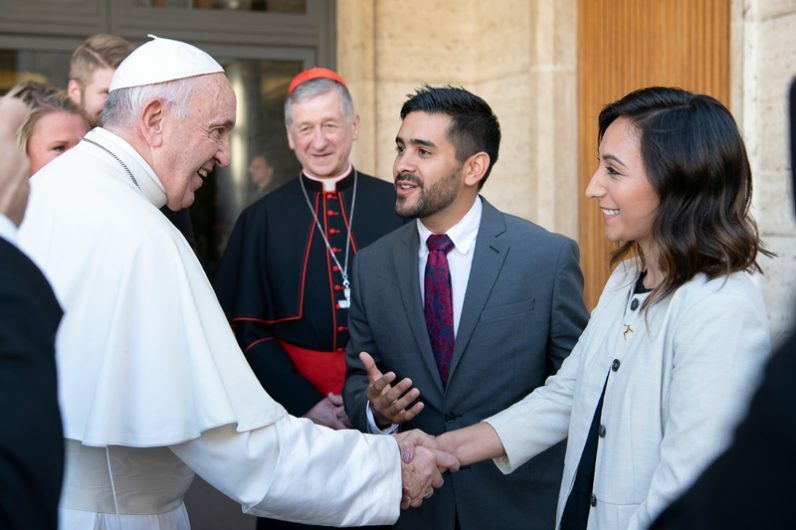 VATICAN CITY (CNS) — Writing to the world’s young people, members of the Synod of Bishops said they wanted to encourage them and help them fulfill their dreams, and they prayed that their own failings would not drive the young from the church. “Our frailties and sins must not be an obstacle for your trust. The church is your mother; she does not abandon you; she is ready to accompany you on new roads, on higher paths where the winds of the Spirit blow stronger — sweeping away the mists of indifference, superficiality and discouragement,” the synod fathers said in a letter addressed to young people around the world. Cardinal Lorenzo Baldisseri, general secretary of the Synod of Bishops, read the letter aloud after a Mass Oct. 28 closing the Synod of Bishops on young people, the faith and vocational discernment. When the world that God so loved “is focused on material things, on short-term successes, on pleasures, and when the world crushes the weakest, you must help it to rise up again and to turn its gaze toward love, beauty, truth and justice once more,” the bishops told young people. The special letter, approved by the synod, was drafted by a international commission that included four bishops, two young women — one from the United States — the leader of the Taize community and an Italian priest, all of whom took part in the synod.